The WD 3 multi-purpose vacuum cleaner is super-powerful with a power consumption of just 1,000 watts. 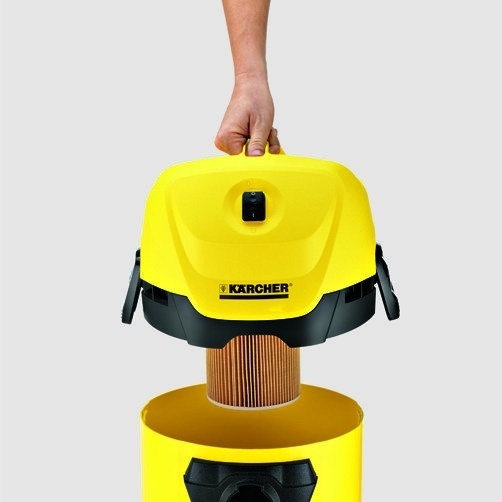 Its robust and impact-resistant plastic container has a capacity of 17 litres. 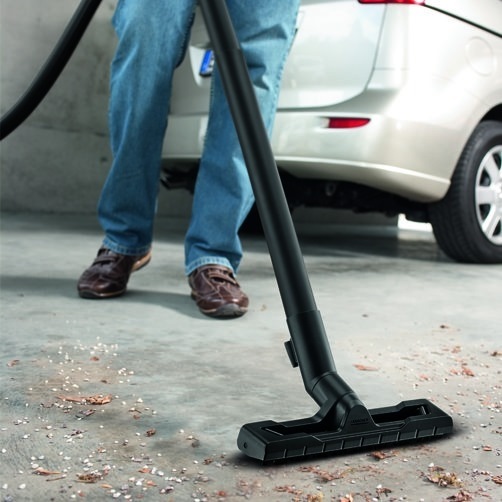 The cartridge filter enables convenient vacuuming of wet and dry dirt, without filter replacement. 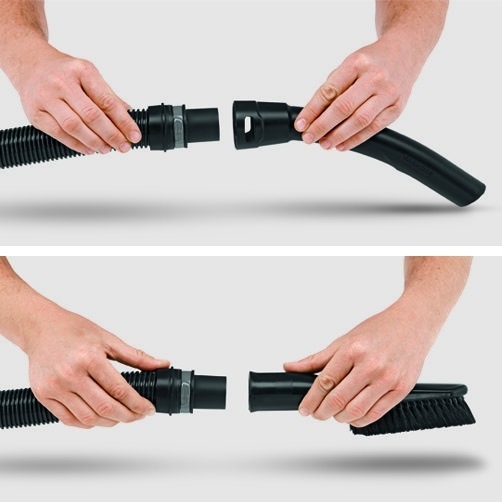 The new suction hose and - not to be forgotten - the newly developed clips floor nozzle with mixed insert contribute to optimal dirt pick-up and ensure perfect cleanliness. The easily removable handle allows direct attachment of accessories to the suction hose. The practical parking position allows convenient parking of the suction tube and floor nozzle during working interruptions. 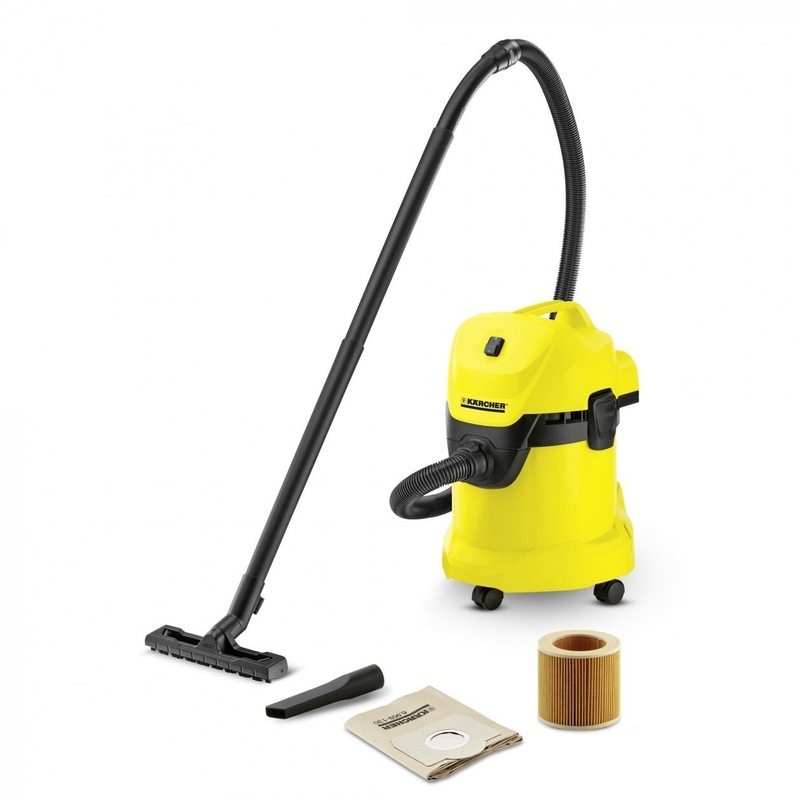 WD 3 vacuum cleaners make light work of the toughest cleaning jobs with features such as blower function, Pull & Push locking system, ergonomic carrying handle and practical cable and accessory storage.